Ready to enjoy this weekend? Are going to have your kids at home? If you will, you might want to prepare a funny meal, something that kids can eat with their bare hands. These crunchy taquitos filled with creamy and cheesy goodness are a perfect finger food for kids. Place potatoes in a medium stock pot with cold water, cover and bring to a simmer over medium heat. Cook until fork-tender. Drain water and mash with fork or potato masher. Add garlic powder, salt, pepper, cotija cheese and egg. Stir until combined. 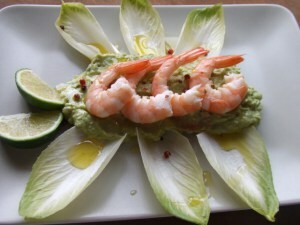 Fold in avocado and set aside. Wrap tortillas in a kitchen towel and place in the microwave for 1 minute until soft. Carefully remove from towel and allow to cool until easy to handle. Place two tablespoons of potato mash in the center of each tortilla. Fold one end of tortilla over filling and roll into a snug taquito, making sure not to roll too tightly, as tortilla can break apart. Secure taquito with toothpick. In a medium skillet, heat oil over medium high heat. With tongs, carefully place each taquito into hot oil and fry; turning over until all sides are cooked and golden brown, about 4 minutes. Drain in a plate lined with paper towels. Remove toothpicks. In a saucepan, place tomatillos and cover with water. Bring to a boil over medium heat. Lower heat and simmer for 10 minutes. Remove from heat. Place cooked tomatillos into blender with avocado and cilantro. Blend on high until smooth; season with salt and pepper. If sauce is too thick, add some of the leftover tomatillo broth to loosen. Pour sauce into four individual bowls. On four plates, place three taquitos and a small bowl with sauce. Dip taquitos into sauce and enjoy! Avocado oil, even better than olive oil! Like olive oil, avocado oil is one of the few cooking oils extracted directly from the fruit, rather than chemically extracted from seeds. Avocado fruit contains around 30% oil and it is extracted in a similar way to extra virgin olive oil. Avocado oil is a very healthy cooking oil, with an extremely beneficial fatty acid profile, good levels of antioxidants and other interesting compounds, and a high smoke point that makes it great for frying with. Actually, in all of these ways it’s superior to the much more commonly used olive oil. Here’s why. Along with healthy coconut oil, avocado oil is one of the best possible oils to have your kitchen for cooking with. The refined oil has a very high smoke point, usually listed as between 480 Fahrenheit and 520 Fahrenheit (270 Celsius). This makes it a great choice for stir-frys and other high-temperature cooking. Olive oil’s smoke point, by comparison, can vary greatly depending on the grade of the olive oil and its processing. Low quality ‘light’ olive oil is generally cited at a highest smoke point of around 430 Fahrenheit (210 Celsius), which may be ok for medium frying. Virgin avocado oil is also usually advertised with a similarly high smoke point to refined avocado oil. However some independent testing has shown that these figure may be exaggerated. To be on the safe side it would be best to keep virgin avocado oil under 375-400 degrees Fahrenheit when cooking. This is still significantly higher than virgin olive oil, but the important thing is to avoid is having whatever cooking oil you are using smoking heavily in the pan. At that point, any health benefits the oil used to have are gone and there’s a good chance dangerous compounds have been created. Read more about the problem with the smoke point of oils on the next page. Cold pressing produces a high quality and great tasting avocado oil, with very low levels of acidity and oxidization and many benefits for your health. Foremost of these is the extremely high levels of monounsaturated fats. Extra virgin avocado oil has a monounsaturated fatty acid level of around 72% to 76%, which is even higher than olive oil’s at approximately 67%. It also has less saturated fat, at close to 13%, whereas olive oil is usually in the vicinity of 17%. Oil of avocadoResearch has shown monounsaturated fatty acids to be one of the healthiest kinds of fats we can consume. They are known to help reduce our LDL cholesterol levels, which can lead to a lower risk of heart disease – still the biggest killer in America. Monounsaturated fats also help maintain good moisture levels in your epidermis, leading to a healthier skin tone. If your skin is feeling dry and looking tired, switching to using avocado oil in your kitchen could help improve your complexion. Cold pressed avocado oil retains its high levels of vitamin E, which is well known to aid in improving skin tone and appearance. Vitamin E has also being shown in some research studies to potentially lower our risk for high blood pressure, heart disease, Alzheimer’s and certain cancers. Alongside vitamin E’s antioxidant potential, unrefined avocado oil contains the antioxidant lutein. A yellow pigmented xanthophyll carotenoid, lutein is concentrated in our bodies in the macula region of our eyes. It is believed to help protect our vision from damage by UV and high-energy blue light. Getting good levels of lutein in your diet may help prevent age-related macular degeneration (ARMD) later in life – the leading cause of blindness in the Western world. There’s a lot of reasons to recommend switching from olive oil to avocado oil. It has more monounsaturated fatty acids, high levels of the antioxidants like vitamins E and lutein, more than twice the beta-sitosterol of olive oil and a higher smoke point for cooking with. Finally and importantly, extra virgin avocado oil tastes great too with a rich, buttery avocado flavor. Don’t be affraid to get all these benefits, start cooking with Avocado Oil! My favorite Avocado Oil is Mevi Oil. Today is the Earth Day! And since our instructor wanted to celebrate it, they turned off the boiler! At first we all were a little upset, but then we realized that we went out happier, we felt much more energized. 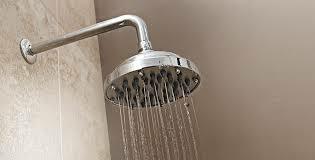 And there’s a reason for that, here’s a list of benefits of taking cold showers. Cold showers burn fat – when fat is activated due to extreme cold, it burns calories to keep you warm, which could provide a helpful assist in your weight loss plan. Which one do you want to take advantage of? Now you know it, let’s start taking cold showers! This weekend I had a family reunion and we prepared this spectacular meal, it was just great! I asked for the recipe, because I wanted to share it with you. Even though the name sounds like a lot of trouble, it is not! 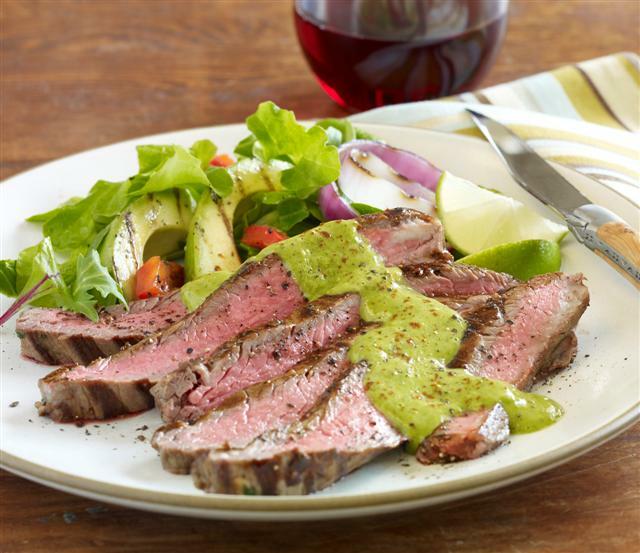 Avocado Oil Marinated Flank Steak with Avocado Chimichurri Sauce! Remember how I always recommend easy to prepare recipes? Well, this one is very easy too, just involve a little more time since you have to leave the steak to marinate since a night before. Let’s say no more, here’s the recipe! In a large mixing bowl combine oil, lemon juice and cilantro. Add flank steak and marinate overnight. Grill Steaks to desired temperature and serve with the chimichurri sauce. Begin preparation the day before to marinate the flank steak. In a blender combine all ingredients except the oil. While blender is on, slowly add oil. Reserve until needed and serve with grilled flank steak. You can serve with a green salad or sliced heirloom tomatoes. Serve with a green salad or sliced heirloom tomatoes. Hope you enjoy this, let me know if you like it!